Listen to Title track "The Fearless Note"
Graphics by Joe Malinaggi . 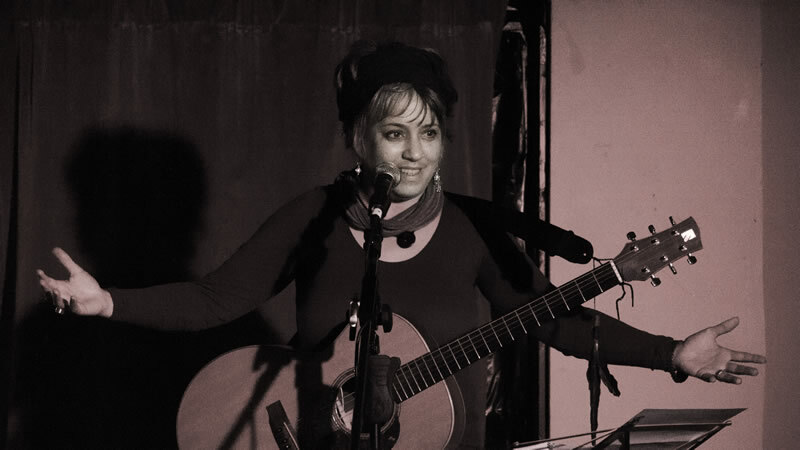 Recorded live in Melbourne, The Fearless Note catches such a strong sensation of intimacy that it is as if Kavisha Mazzella is singing for your ears alone. This is crucial, because it ensures you are drawn into the dream worlds of her lyrics: hazes of words that suddenly snap into focus and impale you on a thought, a sentiment or a memory. Often they contain observations from her travels, so the effect is like images drifting past a rainy train window, although she can also lighten the mood with a song such as Philosophy Man ("I'm in love with a philosophy man who cannot fix my car"). Mazzella's voice has an edge of drama even at its softest, and when she really sings out it can be storming or exultant. Her melodies are predictable, but not in a negative sense: rather they sweep you along on a tide of vague familiarity, even if the accuracy of her pitch quavers on some notes. She accompanies herself on acoustic guitar, while Matthew Arnold wreathes pretty violin lines into the songs. 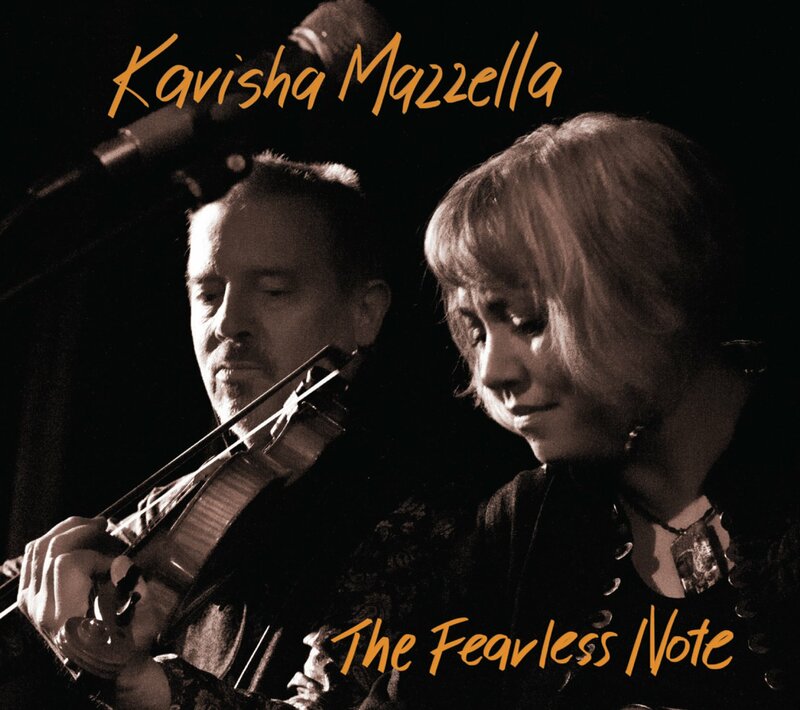 READING BOOKS AND MUSIC RECOMMENDS "The Fearless Note is a brand new live and very intimate recording from one of the Australian Folk scene's favourite performers, Kavisha Mazzella.Recorded at various house concerts in September -October 2016 the recording features Kavishasinging her heart out,playing some very solid guitar and showing great muscal rapport with accompanist Matthew Arnold. Arnold's fluid fiddle playing is exceptional.All of this is done without overdubs or treatments on a set of mostly new songs"
"Recorded in two live sessions, The Fearless Note has the vibrant intimacy and spontaneous resonance that can only come from years of collaboration and deep listening.Kavisha Mazzella’s music leads us into a world of tattered troubadors and star-crossed lovers, those, to quote Leonard Cohen, “oppressed by the figures of beauty”. Her voice can tremble on the edge of breaking and open in full-hearted revelry. Like Cohen, she can be funny too.